Lah Ti Dar has replaced Kew Gardens as favourite for the St Leger at Doncaster on Saturday after being confirmed as a runner by trainer John Gosden. The unbeaten filly, owned by Lord and Lady Lloyd Webber, won at Newbury and Newmarket earlier in the year before an injury setback. 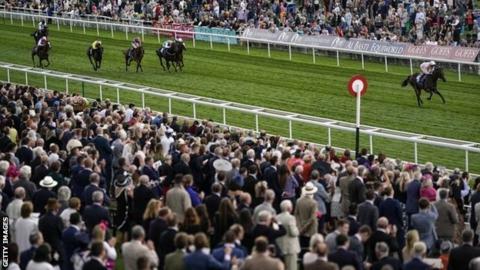 She returned with a 10-length victory in the Galtres Stakes at York last month. Gosden is seeking a fifth triumph in the world’s oldest Classic race.